When our mother was alive, the three of us would spend Mother’s Day together at a nursery. 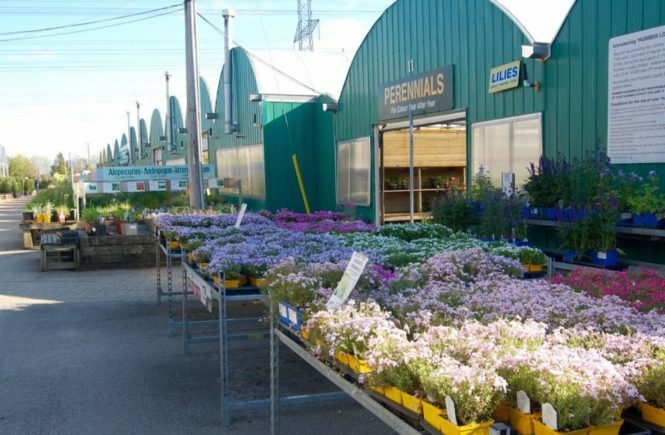 Sometimes it was (the recently departed) White Rose Nurseries or Sheridan Nurseries in Unionville. Then we discovered Humber Nurseries on Hwy 50, and it became our garden Mecca. Though Mum died 20 years ago this year, Sarah and I still make our annual pilgrimage to Humber almost every Mother’s Day. What can I say about Humber? We spent four hours there this Sunday, and didn’t even scratch the surface. Their website (see above) claims the 24-acre site has 70 greenhouses that cover four acres in themselves. I believe it. 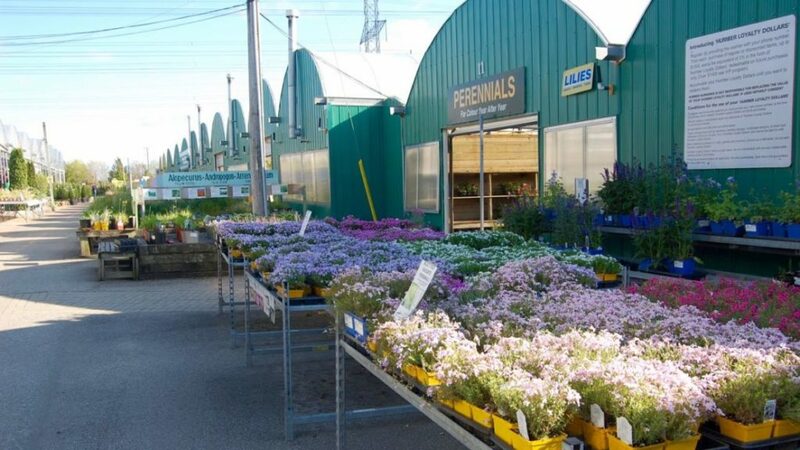 We guesstimated the perennials greenhouse alone to be a good acre; 3200 varieties, arranged alphabetically in aisles. Considering the temptations, we exercised restraint. I still ended up spending more than $200. 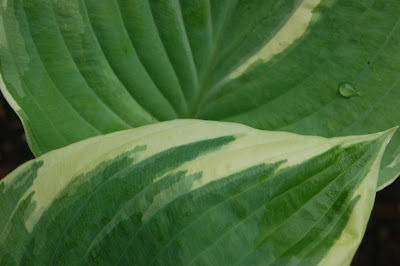 We each fell in love with a hosta: Sarah’s, a glossy variegated ‘Fantabulous’ (the name is very seductive); mine, a tall frosty ‘Robert Frost’. I came away with a new form of Gaillardia, ‘Oranges and Lemons’ – the one thing that was actually on my plant list – plus some old reliable Heuchera ‘Palace Purple’. My biggest buys were two $39 shrubs: ‘Mandarin Lights’ Azalea and ‘Pinky Winky’ Hydrangea that I hope lives up to its brand name (Proven Winners). Sarah got a Canadian hemlock and white pine for her country place. We quickly toured the trees, mentally bookmarking two (more) species we’d love to own. We learned that Stewartia pseudocamellia is an all-round performer, if you can grow Cornus florida (ha!). Among its attractions are camellia-like flowers and particularly colourful camouflage-patterned bark. We were told that the other tree is much less fussy, Parottia persica. It sneers at drought and even some shade. Yet it’s a handsome shape with small but early (therefore interesting) red spring flowers and good fall colour. I’ll be looking into it as a way to add privacy in the back yard. Four hours zipped by. With our haul, including three indispensible ‘Gartenmeister’ Fuchsia for containers, we had to call it a day. 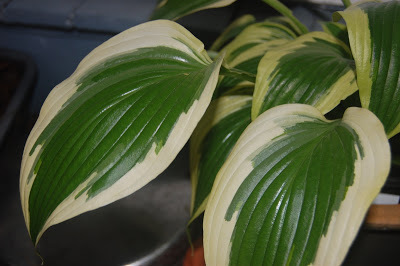 We hadn’t made it past the middle of the perennial alphabet; hadn’t visited the Butterfly Conservatory; hadn’t stopped to look at the aquatic plants or the fish or seriously peruse the grasses or herbs or tropicals. All that can wait till another time, another year, another pilgrimage. 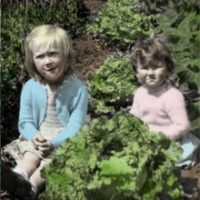 Perhaps by that time our own children will have finally gotten the gardening bug, and the Mother’s Day tradition can be passed on to the next generation. What happens to your Green Bin, Toronto?